Theatre Reviews Need More Than a "Like"
Unfortunately for lovers of thoughtful writing, the rise of amateur critiques has corresponded with the fall of professional theatre criticism. Some theatres are even adding a "Twitter section" where audience members can tweet with impunity during a show. Today news organizations are employing fewer full-time journalists to report on arts and culture, and 140 characters is a bit short for a decent review. 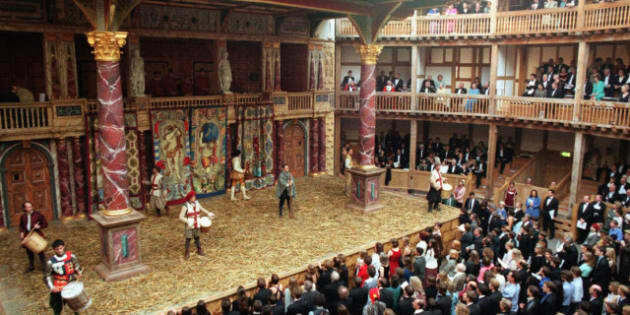 This summer hundreds of thousands of people will be attending shows at one of the many summer theatre festivals across the country. From Fringe Festivals to the Stratford Shakespeare Festival, theatre has never been more accessible or affordable. But how does one decide what to see? In the past, the professional theatre critic wielded a mighty influence on what shows were hits, and which were bombs. Social networks have given voice to every theatre goer and now the post-show critical Tweet, or Facebook message, is becoming the latest bit of social currency. Will these opinionated messages by theatre goers have an influence on the role of the theatre critic? I hope not, because the professional theatre critic's job isn't to merely present an opinion, but to offer an argument about where a single artistic work fits into the existing canon, and on a broader scale, the human condition itself. In so doing, the critic helps us understand the role of the arts in our democratic society, where well-conceived and produced, creative forms of expressions should be heralded. 140 characters is a bit short for that kind of review. In his 1972 book titled Understanding Today's Theatre Edward Wright wrote, "No other art and its participants are so freely criticised by the inexperienced and the inept as the theatre and those who create it." If, as Wright wrote in 1972, the arts were the subject of much inept criticism, then social networks have given rise to even more inexperienced and inept voices. Unfortunately for lovers of thoughtful writing, the rise of these amateur critiques has corresponded with the fall of professional theatre criticism. Today news organizations are employing fewer full-time journalists to report on arts and culture. So who are today`s taste makers? Will a series of Facebook "Likes" or glowing tweets have the power to make or break one of the many shows being presented this summer? Arts organizations are spending a lot of time and money trying to manufacture "popularity." Not surprisingly this rise in arts marketing has grown at the same time as art critics have been vanishing from journalism. But marketing and PR have mostly added clutter to the purity of the arts experience. Some theatres are even adding a "Twitter section" where audience members can tweet with impunity during a show. As much as I believe that more than one or two people attending a performance might have important and interesting interpretations of the show, I value the knowledge and expertise of the professional critic. For example, amateurs, publishing hasty, post-show "thumbs up" type comments online, are rarely able to differentiate between an ambitious performance that fails and a smaller scale show that succeeds in its humble aims. This is not to diminish the role of social networks and their ability to engage people in meaningful discussions about art. Far from it. Already some artists and critics are benefiting from interacting with theatre lovers who relish Twitter, blogs, and Facebook posts by opening dialogues directly with them. This could be bad news for marketing professionals who earn a living manufacturing popularity, but good news for artists, audiences and professional critics who might reclaim some of the authority that was lost during the rush to social networks.